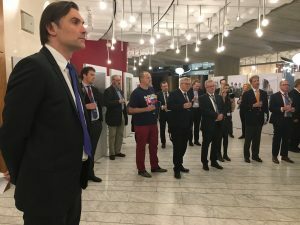 This week at the European Parliament in Strasbourg, Charles Tannock MEP hosted a reception to open an exhibition of original photographs entitled “Donbass and Civilians” compiled by the Rinat Akhmetov Foundation. The Rinat Akhmetov Foundation is the largest personal charitable initiative in Ukraine, writes James Wilson. The conflict is not uppermost in the minds of those dealing with international foreign policy But the residents of Donbass still need humanitarian assistance. 6.5 million people, have had their peaceful lives disrupted by the war; their way of life shattered, families torn apart, homes destroyed, friends and relatives killed and injured. 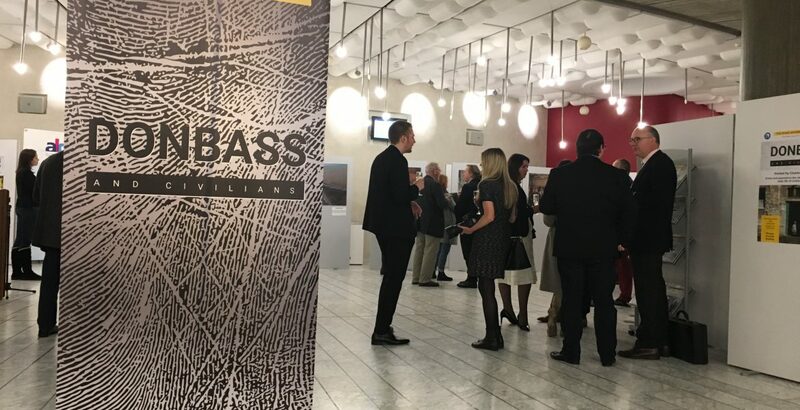 The Exhibition presented a series of black-and-white collages from the photograph album “Donbass and Civilians”, colour photographs of the destroyed houses and their inhabitants, and video commentaries by the children who have seen the effects of war with their own eyes. 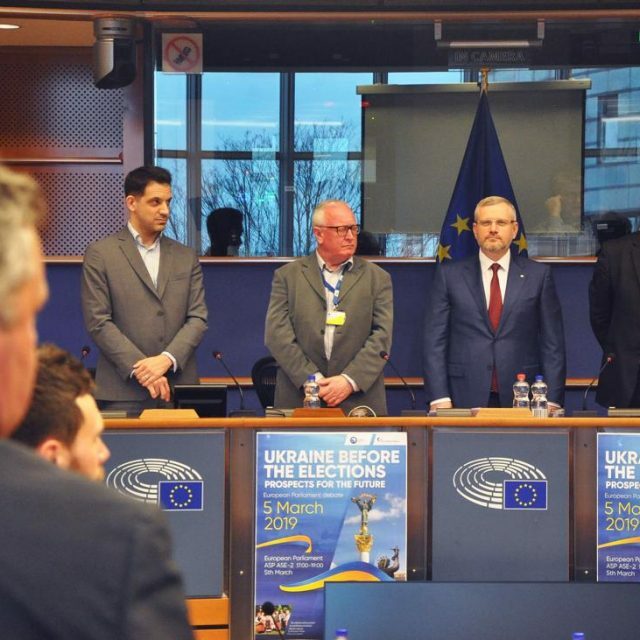 It was visited by more than 30 MEPs from across all political groups and from different member states, who benefitted from the presentation to gain an impression of the visual impact of the war in the East of Ukraine on the daily life of civilians caught up in the crossfire of the conflict. Members signed a guest book to record their impressions. “In today’s situation, the only hope that comes to their lives is through empathy, understanding and vital humanitarian assistance. Rinat Akhmetov, a native of Donbass, acutely feels the suffering of his compatriots. From the first days of the war, he has understood their plight, empathised with them and offered a helping hand. In 2014, under the auspices of the Foundation, he created the largest humanitarian aid programme in Ukraine – the Humanitarian Center. The Foundation has been helping the most vulnerable groups of the Donbass population – the elderly, children, disabled persons, large families – for 5 years. More than a million people have been saved from the beginning of the conflict in 2014. 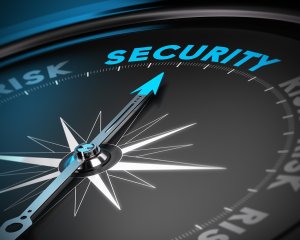 According to a survey by the Kyiv International Institute of Sociology, 85% of the region’s inhabitants would not have survived without his help. Almost 57% of Ukrainians surveyed are convinced that the work of the Rinat Akhmetov Foundation prevented a humanitarian catastrophe in Donbass,” said Natalia Yemchenko, a member of the Supervisory Board of the Rinat Akhmetov Foundation. According to the United Nations, about 4 million civilians in Eastern Ukraine still require humanitarian assistance today. 92% of Donbass inhabitants still need the most vital items required for survival: food and medicine. Since the beginning of the conflict in Donbass, the Foundation has delivered more than 12 million food packages to civilians in the region, which have been nicknamed “survival kits” by the grateful recipients. Roman Rubchenko, Chief Executive of the Foundation is passionate about teaching as many people as possible about the terrible living conditions of civilians in the east of Ukraine. 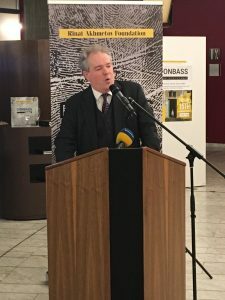 One of his first steps was to publish a unique photograph album, “Donbass and Civilians”, it is a chronicle of the terrible events that are taking place in the centre of Europe. The album includes 11 stories about civilians from Kramatorsk, Bakhmut, Avdiivka, Krasnogorovka, Peski, and other settlements caught up in the cross-fire of the Donbass war. The book is about war and civilians, about burnt houses and charred hopes, and about how people survive, while hoping for peace. The album has been already presented in Ukraine and in Europe and has proved to be a shocking revelation for many people. This edition is only one initiative in a chain of actions designed by the Foundation to show to the world how people live in Donbass and just how much peace would mean to them. “The exhibition also featured 16 video presentations by children who took part last summer in the project “Peaceful Summer for the Children of Donbass”. In these emotional and moving film clips the children explain in their own words what they have had to go through” Roman Rubchenko went on to say. 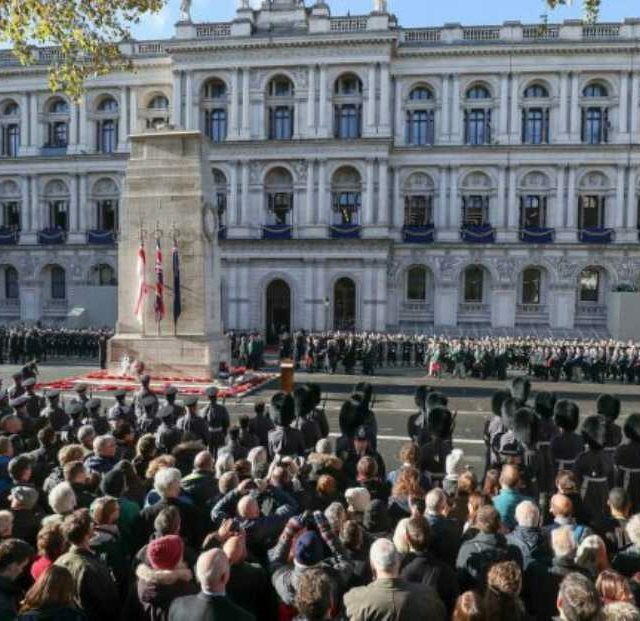 “They teach all adults how to understand the horror that has divided their lives into “before” and “after” war experiences. Through these personal interviews, the whole world should learn about the frightening experiences of young lives, and why the children of Donbass dream so much about peace,” he concluded. 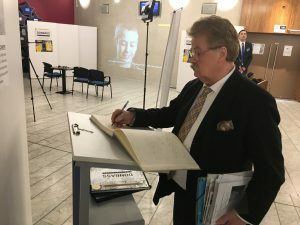 The Author, James Wilson, is the Editor of EU Political Report.